 Inner Legacy Seminars has one aim, to aid you in knowing yourself, so you may live the life you love. After attending your seminar, I’m living life on my own terms and enjoying and growing a successful business. I spend quality time with my friends and family. I realize people really love and care for me. My thoughts are positive, and I no longer keep myself surrounded by negativity. What’s holding you back from feeling good about what you do and who you are? You work hard. Your business is successful. Others think you have it made. So why do you have that hollow, listless feeling that nothing you do will be enough? When will the work pay off? When will the feeling of being trapped end? When will the happiness begin? You’re not alone in this feeling. People tell us about this unsettled way of living every day. They’re successful, normal people; business leaders, managers, executives, doctors, support staff, salaried and hourly, husbands and wives, families, intelligent, caring, capable people. But something is blocking them from the contentment and fulfillment they want and deserve. Professional development and hard work are not enough. Working on operations, structures and management systems may address the symptoms of how you’re feeling… but doesn’t get to the causes. Will-power, and going it alone only seem to make finding a solution more frustrating and unattainable. That nagging frustration often leads to sleepless nights, and rough times with loved ones. Rid yourself of self-limiting behaviors, habits and thinking. Realize how personal issues are getting in the way of your true success in life and business…and what to do about it. Participating in our seminars, working with our coaches, you will gain a relaxed self-confidence as you develop skills based on your individual strengths, desires, and background. You will have a feeling of contentment that you are making a difference in the lives of your family, your team, your clients and customers, your community … everyone you interact with. You can ultimately feel satisfied about who you are and the legacy you are creating. A life changing weekend that got me on the path to finding happiness and discovering my ‘truth’ that set me on a course to feeling free and grounded. The work my team did with Inner Legacy made a difference on our first day back at home. My front staff said, it was the best day ever. Notice the name; Personal Leadership. It’s about leading your own life. When you get that part right, the rest of leadership becomes easy. The Personal Leadership course is the launching point for making your feelings about every facet of your life soar.